Fantasy sports is a big business. There are over 57 million fantasy sports players in North America and the player base is growing at a rate of 10.7% annually. A recent addition to the Merging Traffic portfolio, HypSports. aims to bring players a new way to enjoy the game. HypSports is the latest innovation in the fantasy sports market. Fantasy sports is a competitive game where players choose professional athletes to compete on virtual teams. Generally, the real-life stats of an athlete translate into points for the virtual team. For example, in the NFL’s Fantasy Football League, every time your quarterback throws a touchdown on Sunday you get four points. Players compete head-to-head to see which virtual team accumulates the most points. HypSports is different from other fantasy sports offerings in a couple ways. First, HypSports requires players to collect and train athletes instead of simply drafting the desired team. Players purchase card packs that contain random athletes with in-game or real-life currency. Second, HypSports include eSports alongside other major sports like football, baseball, and basketball. Like NBA or NFL players, League of Legends professionals are collected and put on virtual teams to complete against other virtual teams. Fantasy sports is an estimated $15 billion market. Revenue is generated when players pay entry fees to compete in point contests with the hopes of winning cash prizes. This model has raised questions on whether this constitutes gambling and thus an illegal enterprise. The federal government considers fantasy sports legal, but there is debate. Some states are closed to fantasy sports sites, like Draft Kings, due to state laws. 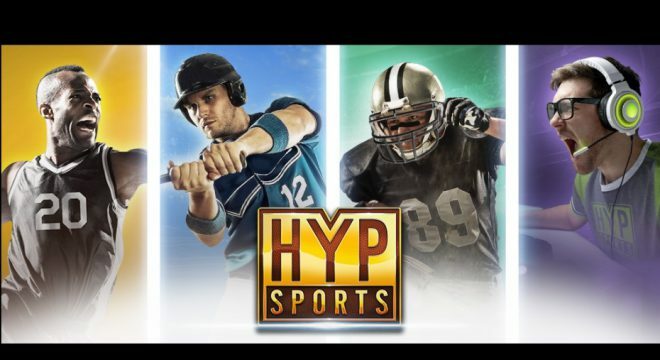 HypSports avoids controversy completely by using in-game purchases to create revenue. This approach allows the company to tap into the market segment of fantasy sports players who cannot or prefer not to play with real money while still utilizing in-game purchases, in-game advertising and other well understood monetization strategies. It also positions HypSports to be the fantasy sport app that taps into a mobile game market that is estimated to reach over $50 billion by 2020. Merging Traffic is committed to accelerating innovation in many ways. We’ve posted a lot about Merging Traffic’s equity crowdfunding portal, but did you know Merging Traffic also invests in promising startups? Merging Traffic, through FANFund, contributed to a $2 million investment in HypSports. Whether through direct investment or our equity crowdfunding portal, Merging Traffic wants to see entrepreneurs and their startups, like HypSports, succeed.